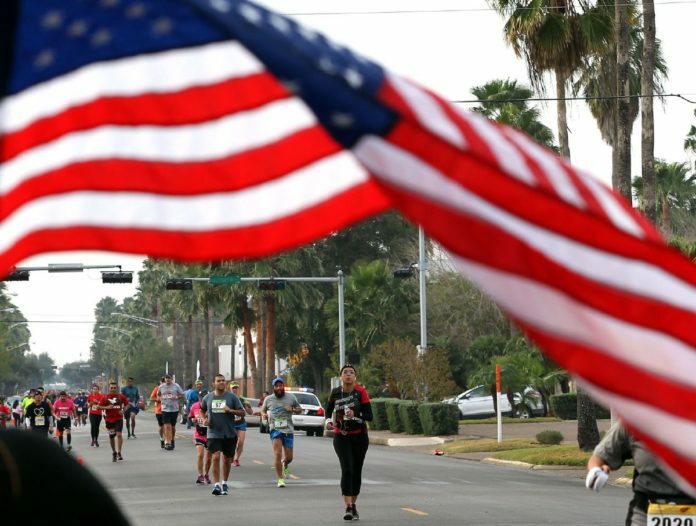 McALLEN — The new year often appears like the perfect time to set goals. McAllen and 129 other cities across the state will not be the exception in 2018. The city is participating in the sixth annual It’s Time Texas Community Challenge, which is presented by H-E-B and organized and managed by It’s Time Texas, an Austin-based 501(c)(3) nonprofit organization. Through March 4, individuals can earn points for their cities or towns by participating in activities such as posting “healthy selfies,” organizing workplace activities, signing pledges and tracking physical activity. Simply registering earns your city 500 points. Cities are divided into four categories based on population size. McAllen — which is under the large city category — is currently in fourth place with 142,100 points. In the mid-size city category, Harlingen is in second place with 346,580 points. The winning cities will receive $1,800 to promote health and wellness. In 2012, the McAllen-Edinburg-Mission metropolitan statistical area (MSA) ranked first in the list of “Most Obese Metropolitan Areas in the U.S.” by the Gallup-Healthways Well-Being Index. Headlines naming McAllen the “nation’s fattest city” shortly followed. The city kept that dubious moniker until 2013. In a survey done by wallethub.com in 2017, McAllen was bumped down to the fourth fattest city in America, which Mayor Jim Darling calls “great progress.” In that same study, McAllen also had the highest percentage of obese and inactive adults, with the second highest percentage of diabetic adults. According to the 2012 survey by Gallup-Healthways, the total cost of obesity in the MSA was $410,933,209, which follows the assumption that there is $1,429 in incremental healthcare costs per obese person. Assistant City Manager Michelle Leftwich said having a healthier community could result in more affordable health care. But the tide is turning. In 2016, the city was the first-ever Let’s Move! Cities, Towns and Counties (LMCTC) All-Star, which is the highest achievement for participants of LMCTC, a national initiative spearheaded by former first lady Michelle Obama to help combat obesity in the U.S.
McAllen was recognized for starting their bike share program, promoting physical activity through The Monitor’s McAllen Kids Marathon and by expanding access to healthier foods through the McAllen Farmers Market. In that same year, McAllen was ranked fifth by Gallup-Healthways in a list of communities with the highest rates of healthy eating in the U.S., with 72.4 percent of residents reporting healthy eating habits. McAllen has come a long way since being labeled the “fattest city in the U.S.,” but there is still room for progress, Darling said. “I hope in the next couple years we can look back at diabetes and obesity rates and see even more improvement,” he said.